What Are the Penalties for Failing to File a Foreign Bank Account Report 90-22.1 (FBAR)? Willful Failure to File an FBAR. Up to $250,000 or 5 years in jail or both. Willful Failure to File an FBAR while violating another "law of the United States" or as part of a pattern of any illegal activity involving more than $1000k in a 12 month period. Up to $500k or 10 years in jail or both. Deportation of a green card holder AFTER jail time has been served. In addition to criminal penalties, there are onerous civil penalties. There is a three-tier system for these civil FBAR penalties. For willful violations occurring after October 22, 2004, the maximum civil penalty is the greater of $100,000, or 50 percent of the balance of the account at the time of the violation. 31 USC 5321(a)(5). For example, if the account balance is $6,000,000, the maximum penalty would be $3,000,000. However, for each year the FBAR is not filed, the penalty can be imposed again. Therefore, it is quite possible for the maximum FBAR penalty to be several times the balance in offshore accounts. In a 2014 civil case, brought against Carl Zwerner, an 87-year-old Florida man, a jury returned a verdict upholding three separate 50% penalties in the approximate amount of $2.2 million. In 2015, the IRS issued guidelines stating that the maximum amount of the civil FBAR penalty it would seek to enforce would be no more than 100% of the highest balance in the offshore bank accounts. The guidelines indicate that in "most cases" the penalty would be limited to 50% of the maximum balance in the foreign bank accounts. Our criminal tax attorneys have speculated that these guidelines may have been issued in response to concerns that higher penalties would be subject to challenge under the 8th Amendment of the United States Constitution which prohibits "excessive fines." If the holder of an offshore financial account can successfully convince the IRS that the failure to file the FBAR was not willful, then the penalties would be limited to $10,000 per violation. However, the IRS takes the position that a separate violation occurs for each bank account that is not listed on the FBAR. So for example, if an offshore bank account holder has 6 separate accounts, the FBAR penalties can be imposed for multiple years so that the total of these penalties can easily grow into the hundreds of thousands of dollars. It is only if the holder of an offshore account can convince the IRS that the failure to file an FBAR is due to "reasonable cause" that the FBAR penalty will be waived. Generally speaking, the IRS has been intransigent on this topic and it is the rare case where the IRS will agree that there is reasonable cause for failure to file an FBAR. In appropriate cases, the only way to relief may be through litigation. 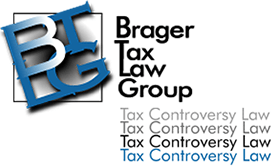 Our tax litigation attorneys have found that there are two types of cases where the IRS may be willing to agree that the failure to file an FBAR is due to reasonable cause. One fact pattern involves the increasingly rare situation where the taxpayer has notified his tax preparer such as a CPA or enrolled agent that a foreign financial account exists, but the preparer did not prepare an FBAR or otherwise inform the client of the need to do so. The other fact pattern where the IRS may agree that there is a reasonable cause is in the case of immigrants to the U.S. who have poor English communication skills, are relatively unsophisticated in financial matters and may have been educated outside of the United States. It is worth noting that someone who didn't file an FBAR may be subject to other civil penalties based upon related conduct. Thus, for example, someone with certain types of foreign assets, including financial accounts, must also file a Form 8938, Statement of Specified Foreign Financial Assets. The failure to file the Form 8938 will result in a penalty of $10,000. In instances where the IRS requests the Form 8938 and the taxpayer continues to neglect to file it, additional FBAR penalties at the rate of $10,000 per month to a maximum of $50,000 can be imposed. The IRS doesn't need to demonstrate that the failure to file Form 8938 was willful, and the penalty can only be avoided by demonstrating reasonable cause.